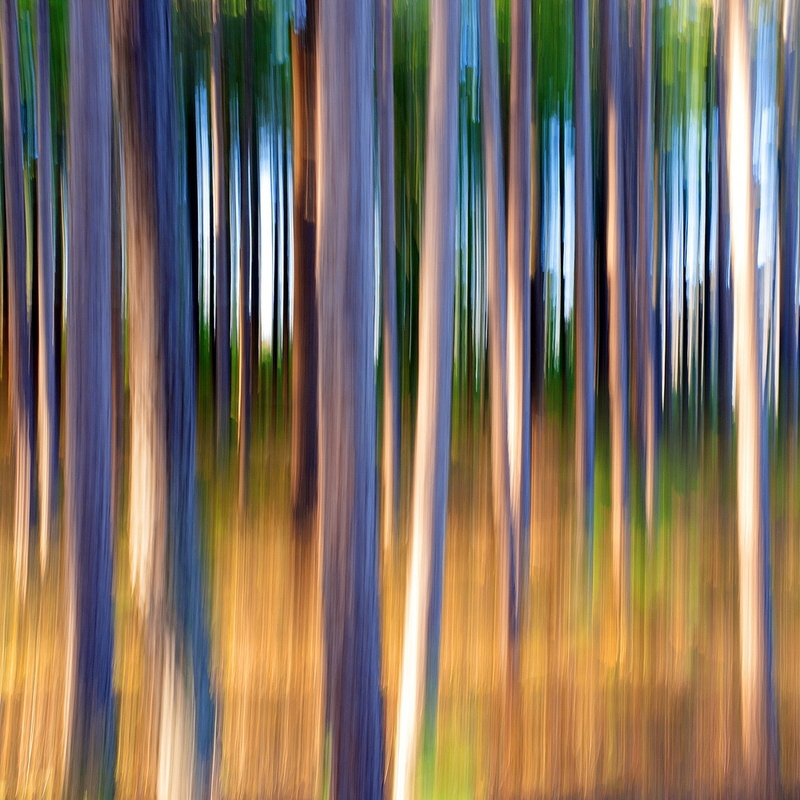 Vertical camera panning and slow shutter speeds smooth a winter forest into simplified forms and streak points of light into rays. Sunsets burn across tree columns, blue shadows smear into snow and green pine boughs glaze the air. Brief camera pauses capture essential details of rough bark or frosted branches.